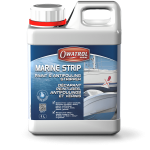 We have 9 products in our Marine Care range that work together to keep your boat looking its best. 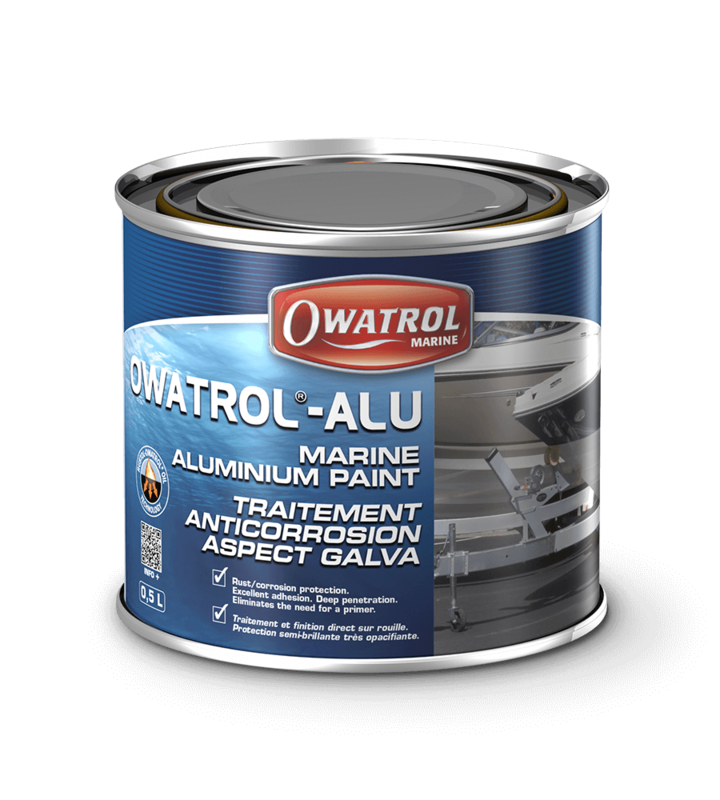 Whether you want something to strip away a previous coating, clean and revive your gelcoat, or give your boat a whole new look, Owatrol has the solution for you. So, what products are in the range? Let’s start by breaking them down into categories. 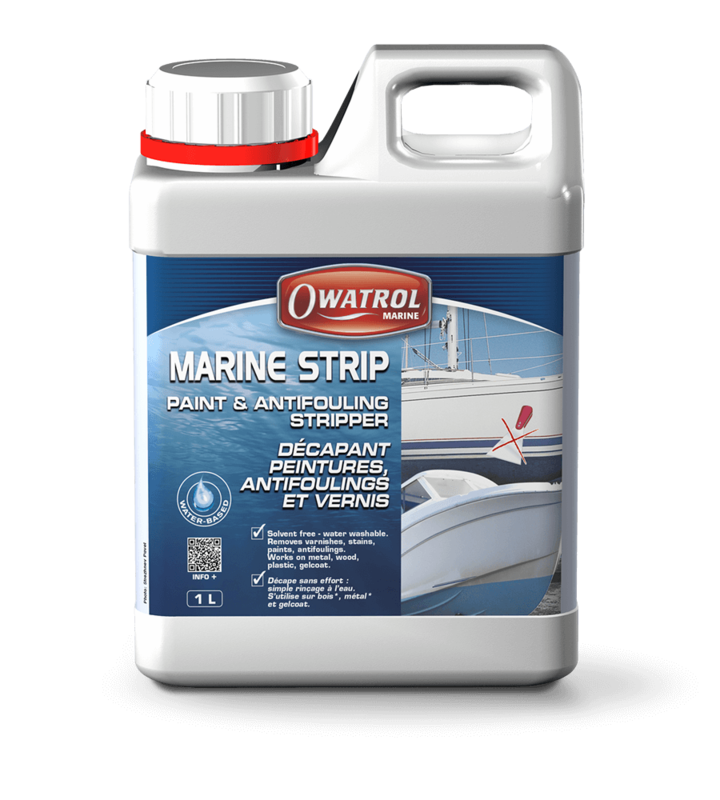 Marine Strip is a powerful water-soluble paint and anti-fouling stripper that can remove up to 8 coats in just one application. 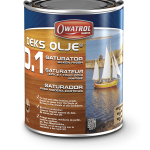 It’s perfect for use on boat gelcoats as it’s gel consistency means no drips, even on vertical surfaces. It is safe to use on virtually any surface. As it’s water-soluble, it can simply be rinsed away with water using a pressure washer. Because it has an active working time of up to 12 hours, it doesn’t require constant supervision and immediate removal as some products do. 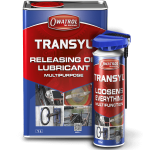 It is VOC free and non flammable, so is safe to use in poorly ventilated or confined areas. 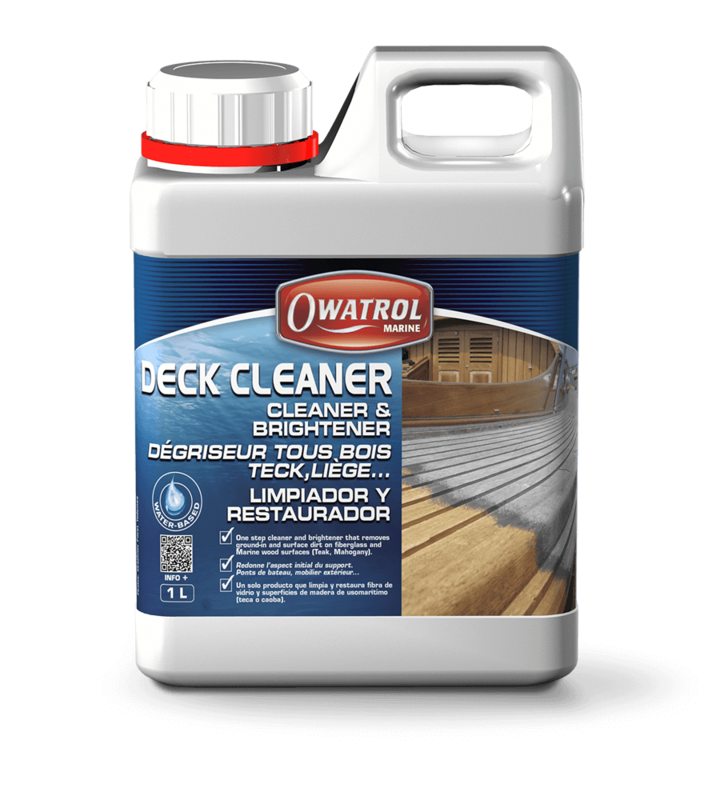 Deck cleaner is a powerful cleaner and brightener that removes ground in and surface dirt while restoring a bright, vibrant look to grey, weather-beaten marine wood such as teak and mahogany, to its natural color without bleaching. 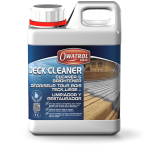 Unlike bleach or chlorine based cleaners, Deck Cleaner will not damage the wood’s fibers. It is fast acting and can restore the original color of your wood surface in as little as 20 minutes with no laborious and backbreaking sanding! 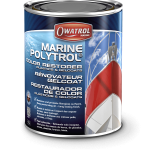 Marine Polytrol is a deep penetrating oil which restores the original color and appearance of dull or tarnished plastics, gelcoats, metals and other surfaces. It penetrates the surface, re-wetting the pigments to restore their luster and color which has been lost through exposure to sunlight, rain and pollution. Simple to apply using a cloth or soft brush, it’s ready to wipe off in just 10 minutes! 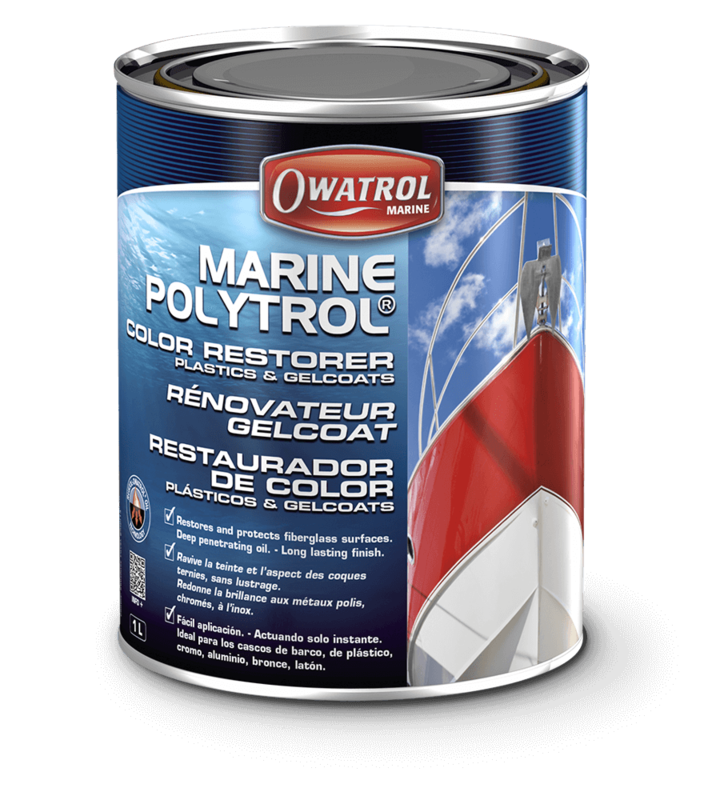 Marine Polytrol can be used on both horizontal and vertical surfaces and can even be used on fiberglass (GRP). It dries to a tough and long-lasting flexible finish which does not leave a film. 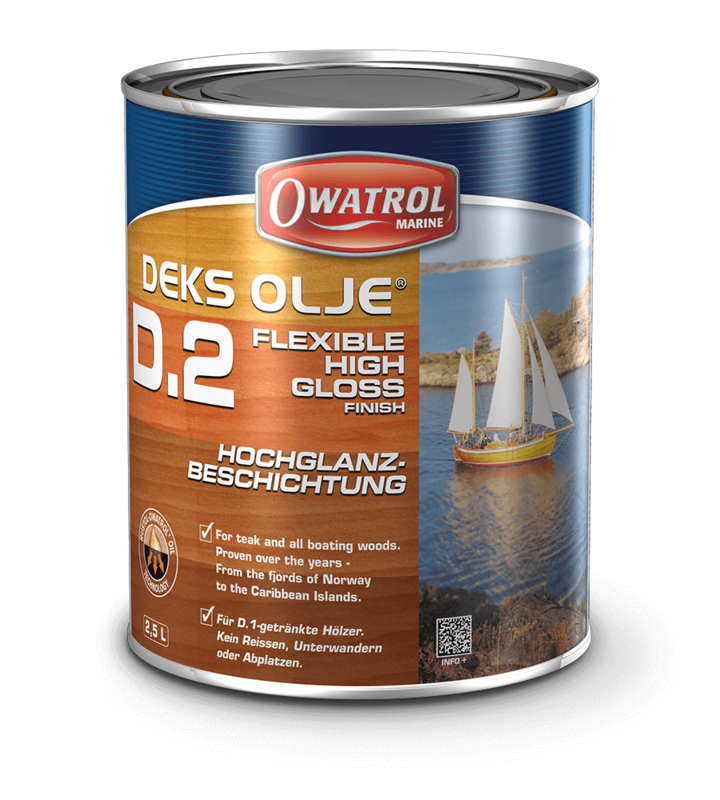 Deks Olje D1 is a saturating wood oil which feeds the wood to replace lost oils. It drives out any moisture and air present in the wood and fills the pores with oil. This enriches and stabilizes the wood to provide long-lasting protection to both interior and exterior timber. It does not form a film on the surface of the wood but protects from within so it will not peel or crack. 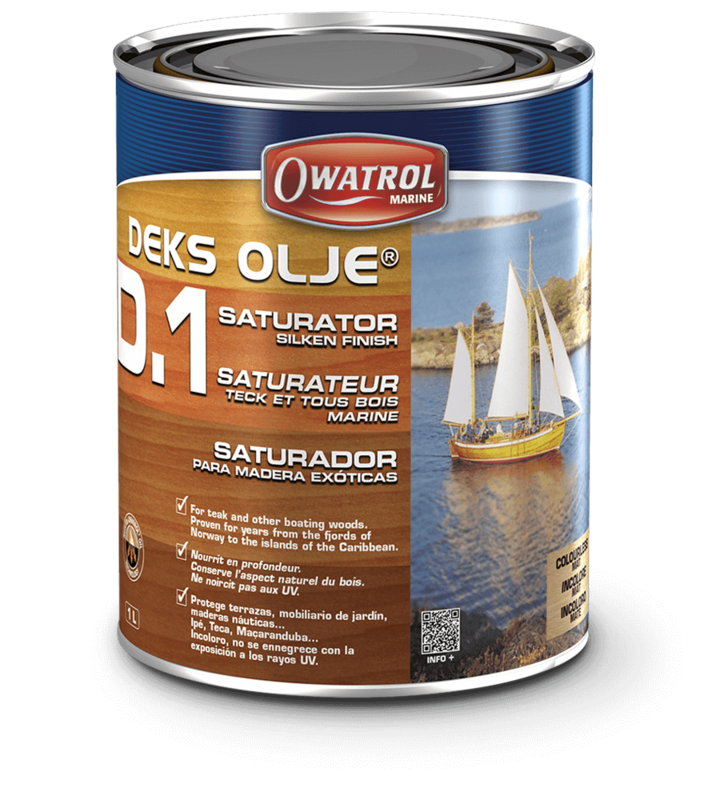 D1 is a clear oil which gives a clear matte finish enhancing the natural beauty of the wood and it is easy to maintain with no sanding or stripping. 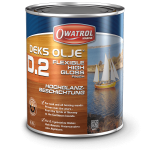 Deks Olje D2 is a varnish-like, tough, flexible and durable finish that enhances the natural beauty of both interior and exterior wood. It forms a highly flexible film which moves with the wood to prevent peeling and flaking. It is easy to apply and to maintain and the more coats you apply the more high gloss the finish will be. No sanding is required between coats and maintenance and repair can also be carried out without stripping! 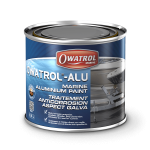 Owatrol ALU is a highly flexible, anti corrosive coating with a high gloss finish that possesses the deep penetrating and adhesion properties of Marine Oil so the finish will not peel or flake and will even adhere well to clean, bright steel. It will restore rusted and corroded surfaces to an acceptable appearance to give lasting protection and greatly prolong the life of the treated surface. It has excellent resistance to the effects of the weather and does not emit harmful fumes so can be applied even in confined spaces. 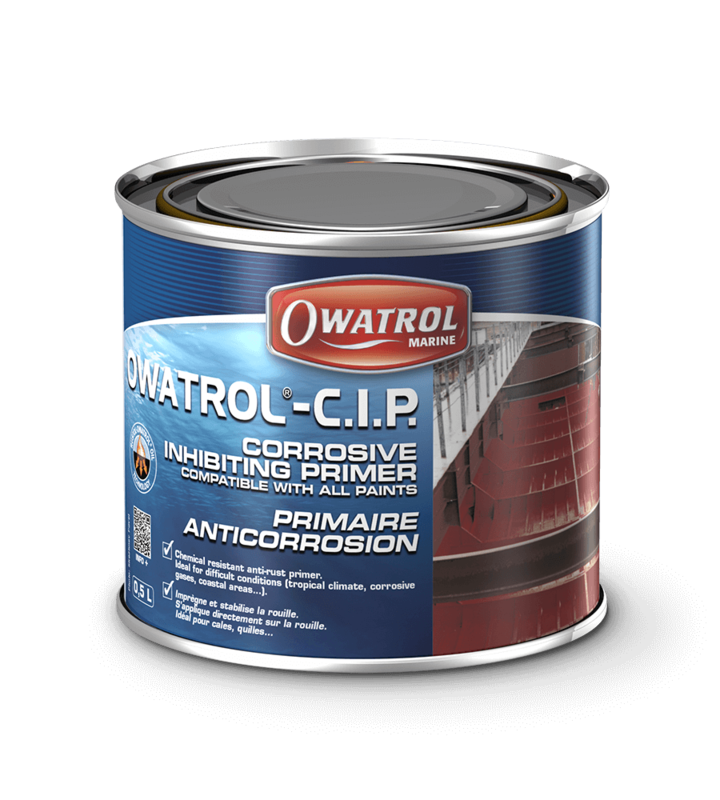 Owatrol CIP is a rust inhibiting primer which is suitable for finishing with both single and 2-pack paints and finishes. 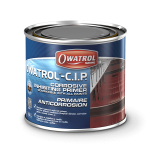 It contains the anti-corrosive properties of Marine Oil which enables it to stabilize the surface by penetrating deep into the substrate, driving out excess moisture and air to form a solid stable layer. It’s easy to use and does not require sand or shot blasting first. It can be used on new and rusted surfaces, interior and exterior and is fine for use on horizontal and vertical surfaces. It will not dissolve or break down when even high solvent paints and finishes are applied to it. 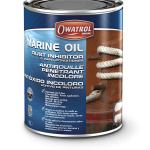 Marine Oil is a versatile, highly penetrating air drying oil that can be used alone or added to paint. Used alone it provides a tough, flexible finish, driving out excess moisture and air; displacing it from rusted metal. Used alone on porous wood surfaces it will saturate and protect the wood from damage caused by moisture. 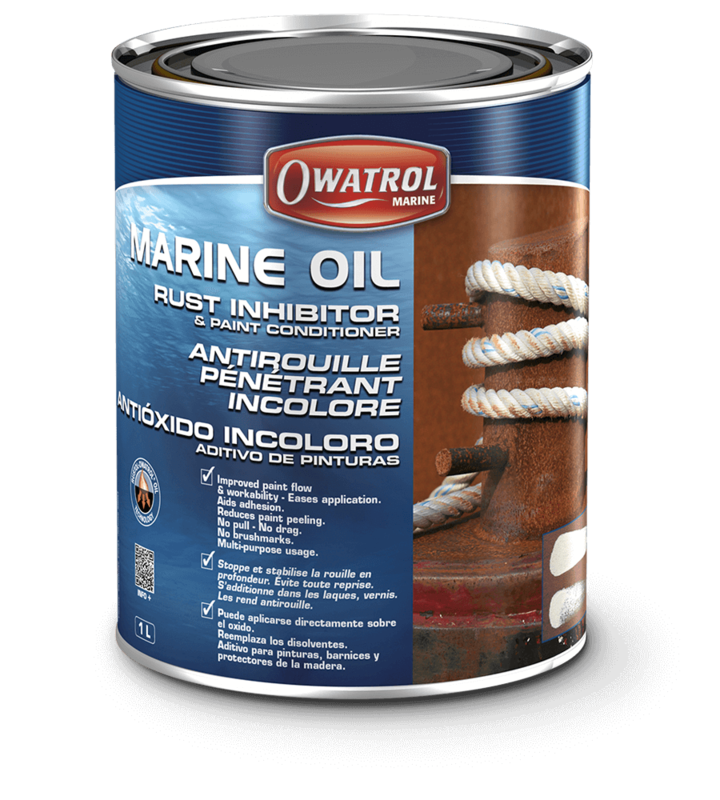 Added to any oil or alkyd based coatings Marine Oil will give increased wet edge time, improved flow ability, greater adhesion and will maintain the inherent quality of the paint without affecting its appearance or drying times. 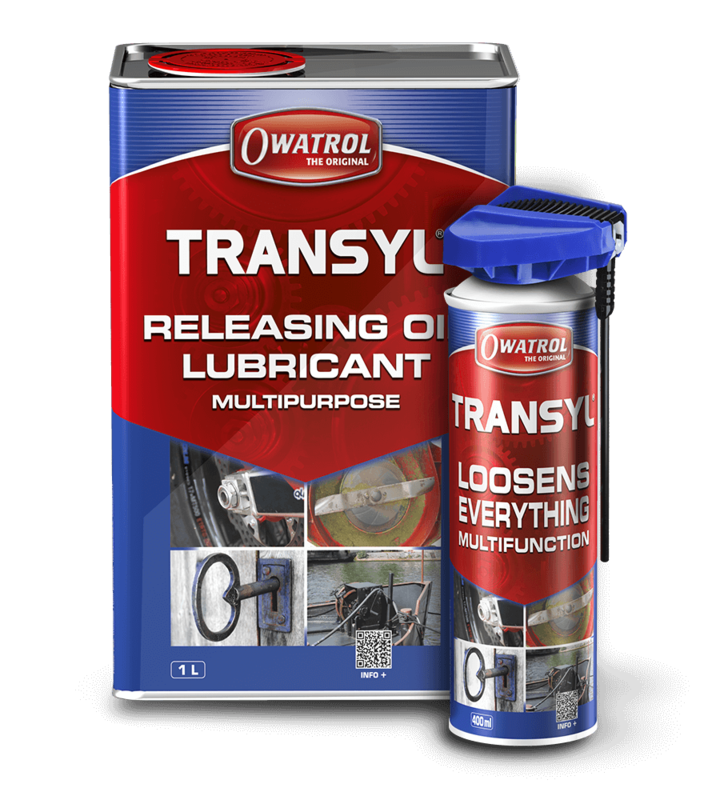 Transyl is a lubricating, deep penetrating, self-spreading liquid with exceptional ‘wetting’, spreading and climbing properties. It is able to reach the most inaccessible areas and is perfect for the dismantling and maintenance of metal assemblies and for lubricating hard to reach metal parts. A multi purpose problem solver that has been developed over 75 years, it is widely used in the Automotive, Aviation, Rail and Maritime industries as well as the industrial and domestic markets. It can be used on all surfaces and does not contain caustic or acidic substances and so does not damage paint. 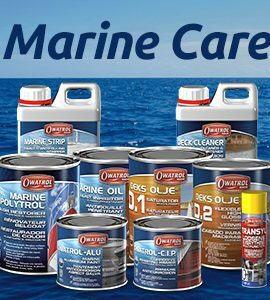 So there you have it, a comprehensive list of all our Marine Care products. If you are still unsure on which product you need, please contact us here.